Have you ever been to amazing Treks in Himachal or Uttrakhand? If not you should try this amazing Trek in Uttrakhand. 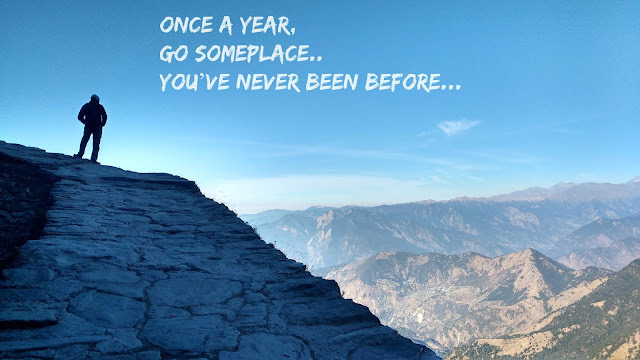 Chopta To Tungnath & Chandrashilla. We started this journey on bike from Delhi and completed the entire trip in 4 days. If you are fond of trekking, then this is the most amazing place for you near Delhi. It'e me - "Atishay - Travel Blogger from India" & my Favourite Travel Quote. The below video was taken on the way to Tungnath 2-3 KM from Chopta. The trek was not very easy and was steep. The below video shows the Hindu Temple of Tungnath (Lord Shiva), which is(considered as the highest Shiva temple in the World & highest situated temple in Asia). Height Apporx 12500Ft (3680 Mt)Approx. This is one of Amazing Treks in Uttrakhand. The below video shows Chandrashulla Peak -which is the higest point of this trek.